Tom Cruise, jumping out of a frickin’ plane. While Cruise is famous for doing his own stunts, this one is ridiculous even by Cruise’s standards. 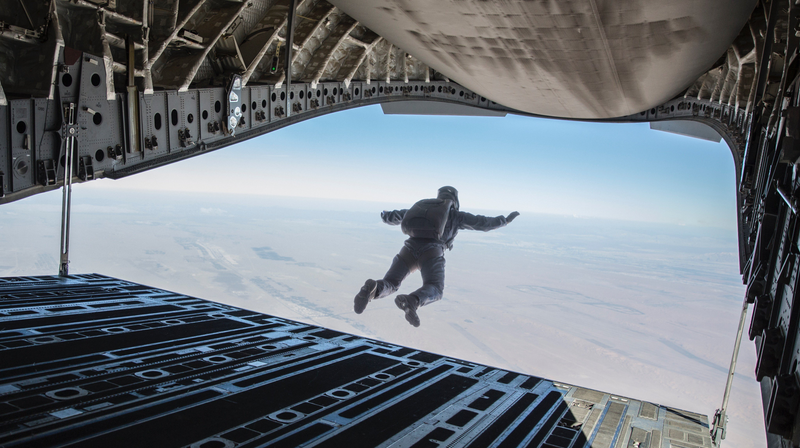 The normal HALO jump occurs at between 15,000 and 35,000 feet—that’s an average of five miles straight up—and requires specialized equipment and substantial training, lest the jumper suffer from the bends or hypoxia. It is not something normal people can even attempt. For comparison, normal skydiving occurs at around 13,000 feet. 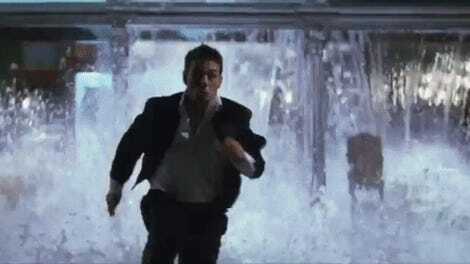 To film a Mission: Impossible—Fallout HALO sequence, Cruise performed the maneuver several times, as outlined in a video recently released by Paramount Pictures. In order to film the sequence, which had to take place at sunset, the 55-year-old man jumped out of cargo planes during the three-minute window necessary to get the lighting right alongside a cameraman, with whom Cruise had to position himself in midair, all while managing to survive and succeed at one of the most dangerous things a person can possibly do. It’s wild. Check it out below.